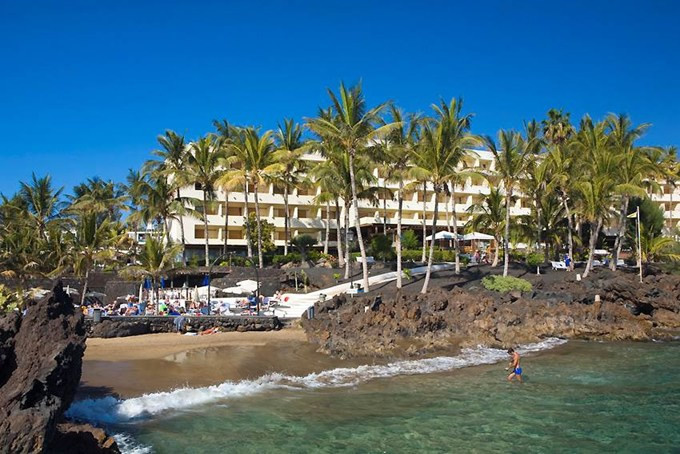 This imposing 4 star seafront hotel is set in luxurious gardens with direct access to a small sandy cove and the waters of the Atlantic Ocean. 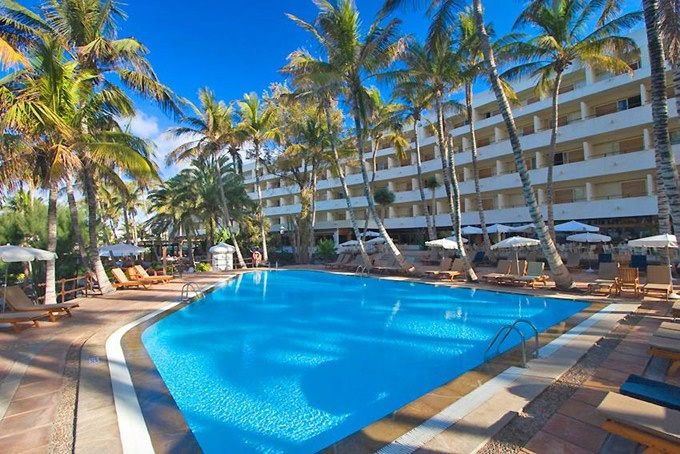 The Los Fariones hotel is ideally located in the best area of Puerto del Carmen very close to the shops, bars and restaurants on the sunny island of Lanzarote. Nestled in a huge 14.000 square metre area with sister properties, this superb hotel is an excellent choice for couples and families. 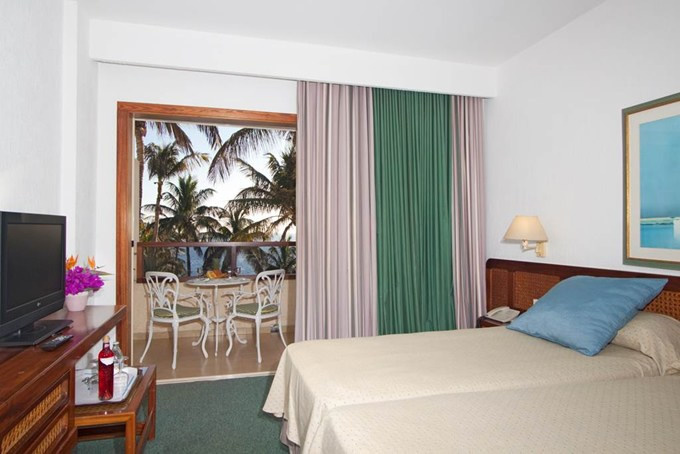 The Hotel provides an excellent base for those wanting to explore this amazing Island. 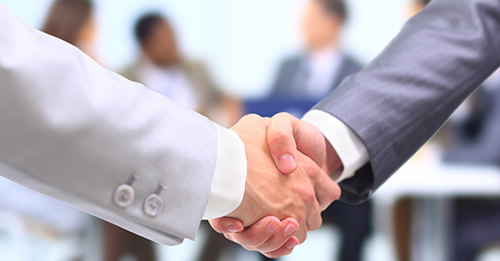 Arrecife Airport is 10 km from the hotel and 16 Km from Arrecife City. The Los Fariones features 248 guest bedrooms each with private bathroom, hairdryer, piped music, Satellite TV, telephone, safe (for hire) and balcony or terrace. A choice of room categories are available that include twin rooms with sea view for up to 3 people, there are 6 junior suites with sea view for up to 3 people, and single rooms also with sea view. 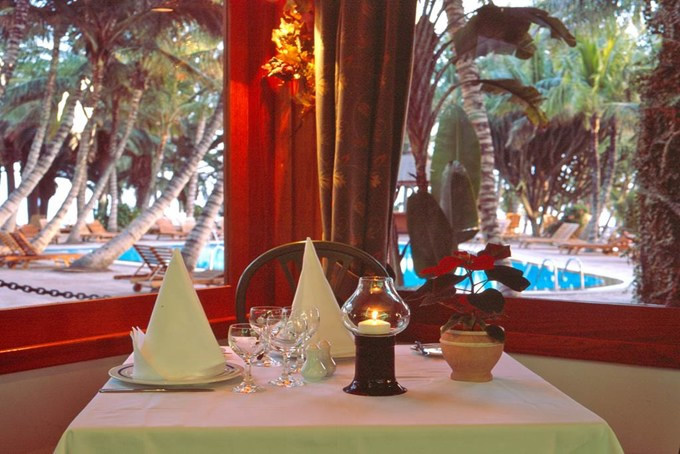 The well established Los Fariones hotel has a well deserved reputation for providing excellent cuisine. Meals are taken in the hotel’s restaurant the ‘La Casa del Parmgiano’ with both the breakfast and evening meals served in a buffet style with show cooking. Snacks and meals during lunch are served at the Bar hall and terrace. The hotel main bar is the venue for occasional live music shows during the week. Hotel Los Fariones has two swimming pools, free sun-lounger and towel service, sauna, Jacuzzi, massage. There is a playground for children. All kinds of sports facilities including tennis, squash, paddle, and fitness room are available at Fariones Sport Centre 50 m from hotel. These activities have a local charge but guests of Hotel Fariones enjoy a 20% discount on all activities. As you would expect from a quality 4 star property the Los Fariones Lanzarote has a 24 hour reception, they can arrange excursions and guided tours to the main sights, there is a hairdresser, a local bus stop service is available from just outside the hotel, there is a laundry service, foreign exchange, free Wi-Fi and an Internet corner (with local cost).